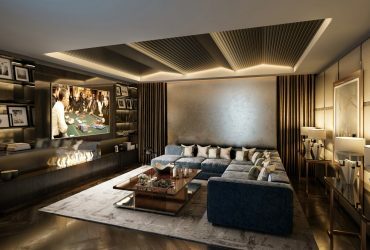 There is a rising trend: savvy home owners are turning their lesser used rooms, attics, even single garages to fully fledged bespoke entertainment rooms for less than you may think. 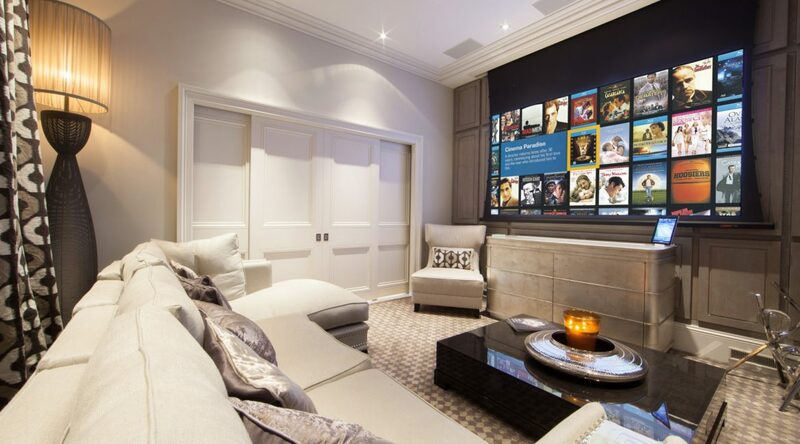 I’m quite taken aback with the fact that finally in the last few years it has become possible to have a truly immersive state-of-the-art cinematic experience in your very own home from around £10,000. Not DIY but an integrated system installed by world experts. 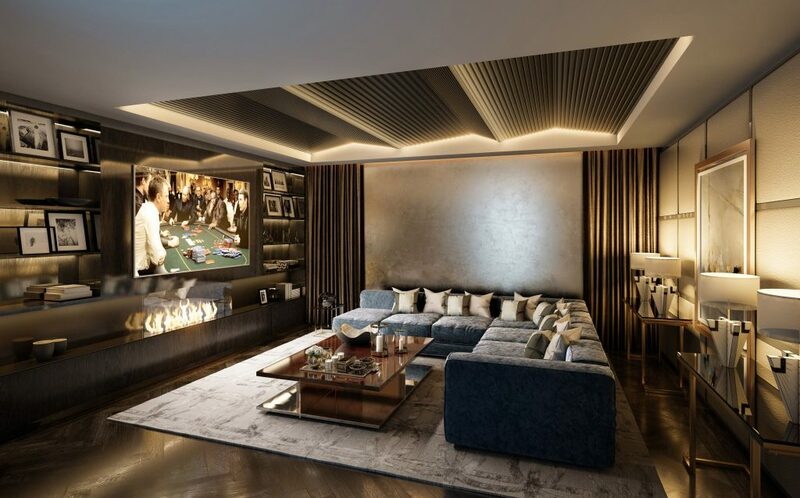 Mood lighting, close up quality screen, audio to make your hair stand up and the best seat in the house – if you’ll pardon the pun that it ‘is’ your house! It’s not the incredible rate of change of technology hardware that surprises me with which this hunger for the latest gizmos inevitably means that prices drop as they become mass market. What has given me the biggest thrill is that this complex technology now works together better than ever and – thanks to the forbearers such as Apple’s iPod, the manufacturers now take note that the key to this clever technology should be in the simplicity of how the end user controls it. Gone are the days when you need a plethora of remotes and a lab coat technician by your side. Long before the hardware is specified or a screen is fired up, you need to start with the basic question that you may have already pondered: location? Perhaps you have a living room, a spare bedroom or an outhouse where you have pictured your new theatre metamorphosing before your eyes. The location does need to meet certain criteria surrounding space, layout and suitability and a recent client had set his heart on converting his attic, sadly this particular one wasn’t suitable. But on our way out, we spied a single garage that was being used to store junk. Suddenly we had our room. A surprisingly smaller space than you may think required. However, a dedicated space doesn’t have to be the only option. 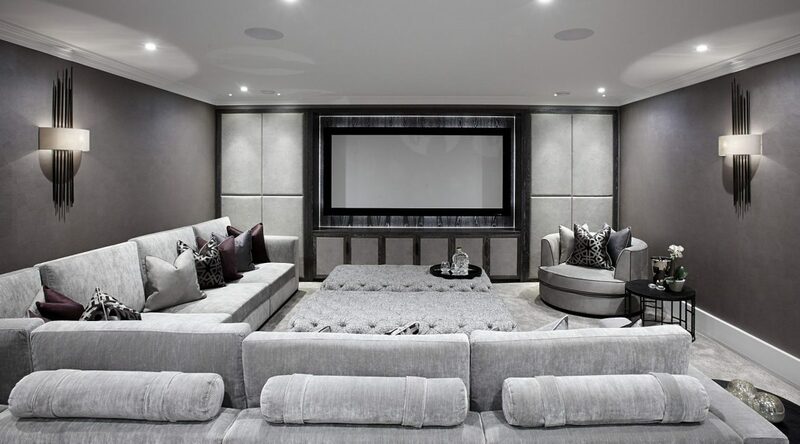 More and more customers are happy to utilise a current sitting room for a dual functioning cinema/games room in addition now that the technology elements can be practically removed from view once not in use leaving a only a harmoniously designed living space. 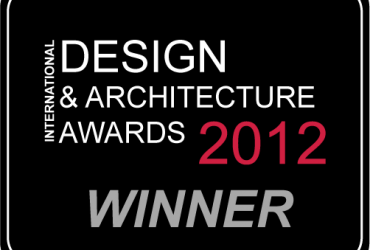 Design by UBER built an award-winning room within a small space in their converted design centre UBER Interiors to show that it is possible to create a dual-purpose room to satisfy a range of functions with this in mind. The 50” TV is simply not engaging or detailed enough for your UHD cup match. The touch of another button and a full 4K anamorphic projector screen glides down in front of the panels. The systems themselves are a joy to use, as an example choose from lists of your favourite actors, directors, or a box front cover picture which can reshuffle to offer alternative suggestions to match the type of movie highlighted. Simple. Easy. And it all turns back to your sitting room just as easily. 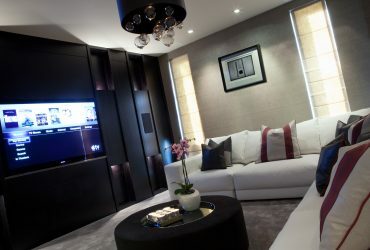 The world respected home automation and security company Sensory International who have made a name for themselves building high end systems for superyachts now offers Bronze, Silver and Gold home cinema packages and along with interiors design consultation from Design by UBER can also design a bespoke home cinema with a huge range of options, tailored to suit your requirements. The crucial thing is to get the planning right. We therefore offer a free site survey of your proposed space, and we only operate to the highest standards. 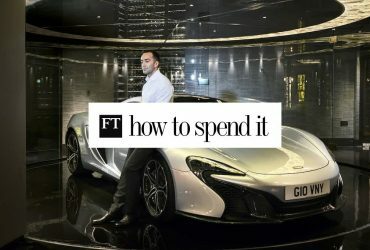 If we don’t think a space will work, we will say so. 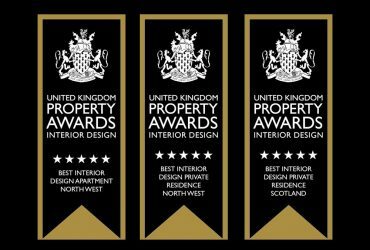 Both Sensory International and Design by UBER have award-winning expertise in projects across the UK and abroad. 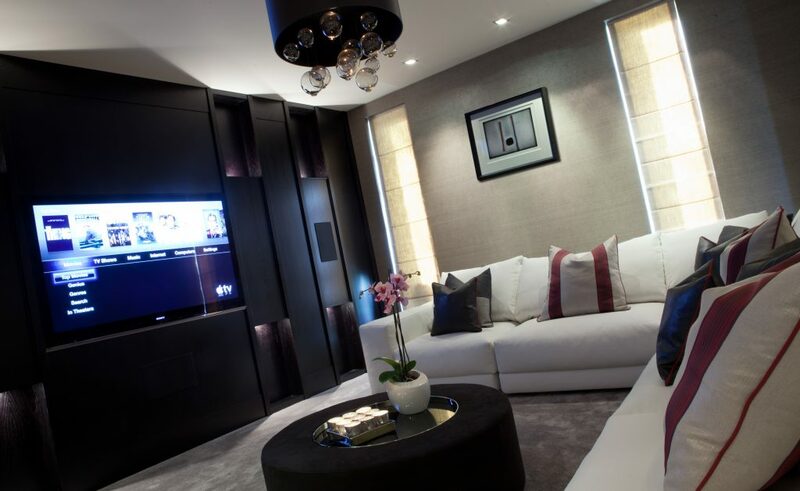 A full range of Sensory cinema technologies is also on show at the UBER Interiors’ showroom – so come and play, enjoy and be inspired.